I’m not sure what led me to link the legendary creature of the Wisconsin North Woods with steampunk. 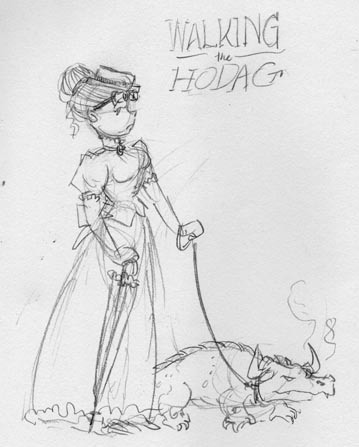 Perhaps the Hodag is the product of Victorian Era Mad Scientist; perhaps it is a rare specimen collected by a deranged naturalist. Either way, the critter has to be taken out for walkies now and then.